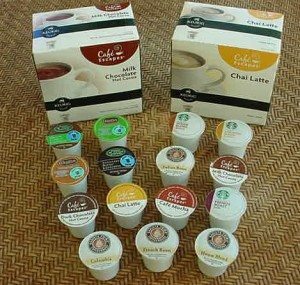 47 K-cups 54 K-cups– My parents bought a Keurig last year, so I started looking for opportunities to score free K-cups. So far, I’ve snagged two free 16-count boxes after sale, coupon and rebate (yay! ), plus a bunch more cups from free sample offers. We’re still several months away from Christmas, so I can’t wait to see how many I end up with. Lotions and Potions Galore – Anytime Bath & Body Works or Crabtree and Evelyn puts out a coupon for a free product, I’m there. CVS and Target have also had some nice free-after-coupon deals that I’ve taken advantage of. I could use all of this to make one monster-sized gift basket, but I’ll probably divide it up into several small gift baskets, instead. My 10-year-old niece loves B&BW stuff, so I definitely have her covered. 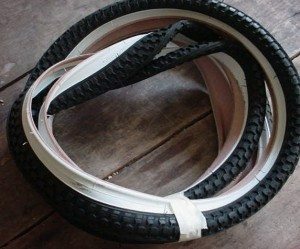 Bike Tires – My husband is a bike commuter, so his big wish was for a new set of tires for his bike. I used a $25 Amazon gift card that I got for free to buy them, and I still have some money left on the card for another gift! 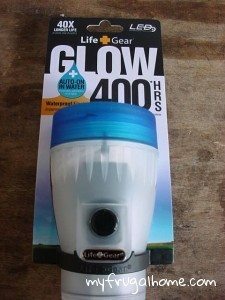 A flashlight – We discovered this particular brand of flashlights (Life Gear) earlier this year, and they’re really neat. They run on little button batteries, instead of the big and bulky C or D batteries, so they’re light-weight, and you don’t have to spend a gazillion bucks on batteries. You’re supposed to be able to get 400 hours of use out of them before the batteries have to be replaced, so we’ll see. At any rate, I grabbed this one for my husband, and I plan to grab two of the smaller ones for my daughters (both Girl Scouts). 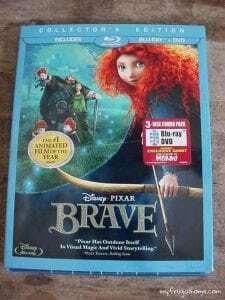 Brave on Blu-ray– Both of my kiddos were excited when they heard Brave was coming out, so I was determined to find a way to snag a free copy, and I’m happy to say I pulled it off. I ordered it from Amazon.com for $19.99 (with free shipping), and I’ll be submitting two movie rebates: a $10 rebate from Kelloggs and a $5 rebate from Honeysuckle White. The money I had left on my free Amazon gift card after buying my husband’s bike tires was enough to cover the rest. Horton Hears a Who DVD– My youngest daughter is crazy about Horton, so when Amazon slashed the price of the movie down to $3.99, I didn’t think twice about using some of my remaining $5.50 credit to buy it. 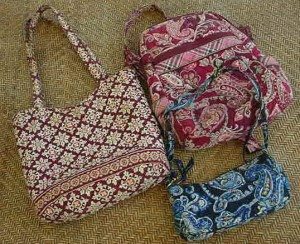 3 Vera Bradley Bags – While I was helping clean out a rental property, I came across a Vera Bradley tote bag, backback and handbag. Score! My family doesn’t mind – and actually prefers – second-hand gifts, so these will be perfect for my girls. Can’t wait to surprise them with these on Christmas Day! 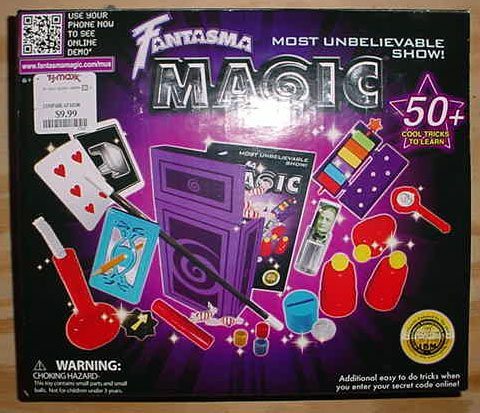 My oldest daughter asked for a magic kit. Everywhere I looked they were $25 or more. Ouch! I finally spotted one at TJ Maxx for $9.99, and what luck – I had a $25 TJ Maxx card that I’d gotten with Coke Rewards. Customized Greeting Cards – Cardstore ran a promo code for 12 free holiday greeting cards. 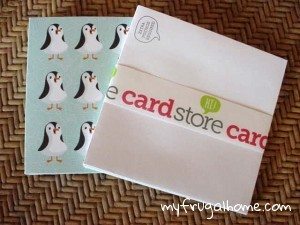 I sifted through their collection, and found these cute penguin cards – just the thing for my penguin loving 10-year-old. 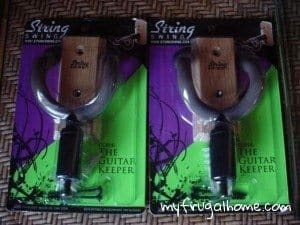 Guitar Wall Hooks – Both of my kiddos are taking free guitar lessons this year, so I picked up a guitar wall hook for each of them with some of my Amazon gift card credit. 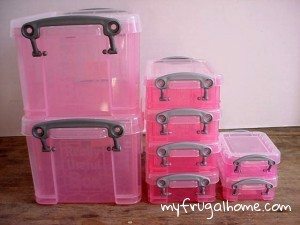 Pink Storage Containers – My eight-year-old is a collector of minutiae (Polly Pockets, itty bitty doll shoes, Legos), so when I came across these little boxes on clearance at Office Depot, I knew they’d be perfect for her. I paid for them with My Worklife Rewards. A locker shelf – My oldest daughter has a locker for the first time this year. That means she’s always on the prowl for cool locker accessories. 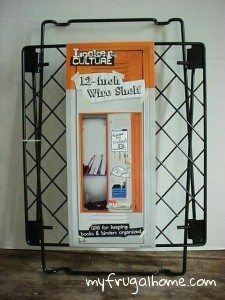 When I spotted this locker shelf on clearance for $2 at Office Depot, I knew it was time to pull out some more of my rewards. 4 Reams of Colored Paper – Both of my daughters are artsy, so art supplies are a can’t-miss gift. 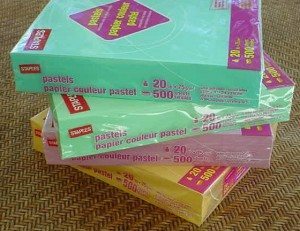 Every time Staples runs a free-after-rewards deal on their pastel paper, I run over to pick up a pack. I’m up to four, and there are still lots more colors to choose from. Bring on the next rebate! 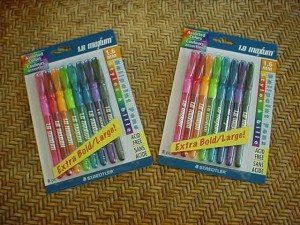 2 packs of Rainbow Pens – These rainbow gel pens were also courtesy of a free-after-rewards Staples deal. There was a limit of two, so I was able to grab a pack for each kiddo. Nice! 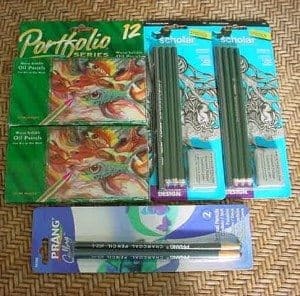 More Art Supplies – Continuing on with all of my Staples freebies, I used $21 in rewards to buy two packs of oil pastels, two packs of drawing pencils and a pack of charcoal pencils. I plan to split everything between my kids, and let me tell you … they are going to be majorly excited to get “real” art supplies. A Beezus & Ramona Book – We’re a family or readers, so this copy of Beezus & Ramona is another can’t-miss gift. It came from the same rental clean up as the Vera bags. Who knew a little cleaning could be so rewarding? 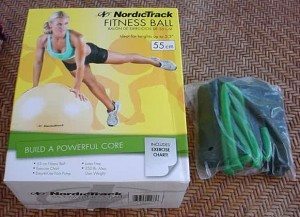 An Exercise Ball and Resistance Band – My oldest daughter is a huge yoga nut, so I’m going to score major points with this gift. The exercise ball was free at Sears after a Facebook coupon. The resistance band was a freebie from a vitamin company. 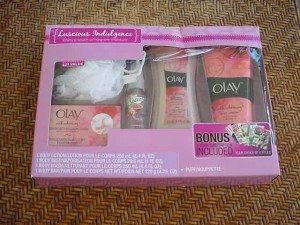 An Olay Gift Set – Combine an after-Christmas sale (last year) with a rebate offer, and you end up with a free Olay gift set. This will be going to my Mom. A Baby Doll, Stroller and Stuffed Animal – My neighbor gave us this baby doll, stroller and monkey stuffed animal after a former tenant left them behind. They’re all new with the tags, and perfect for my little niece. 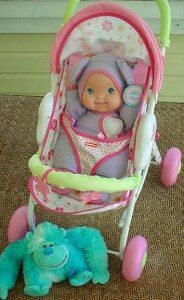 I’ll probably give her the baby doll this Christmas, and save the stroller and monkey for when she’s a bit bigger. 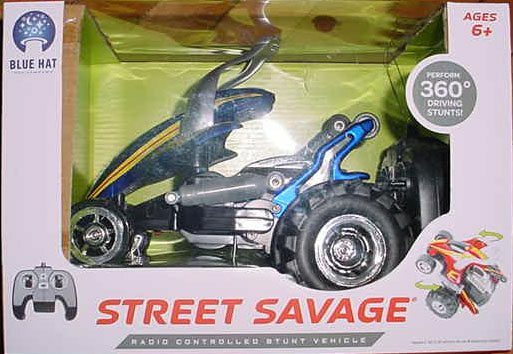 I used one of the $10 holiday certificates that I won from the JCP button sweepstakes to buy this remote controlled stunt car for one of my nephews. It was on clearance for $8, so I paired it with a $2 pack of hair elastics (which I’ll add to my gift closet for later). Want to see what else I was able to get for free? Check back throughout the season for regular updates. I have lots more freebies to share with you.